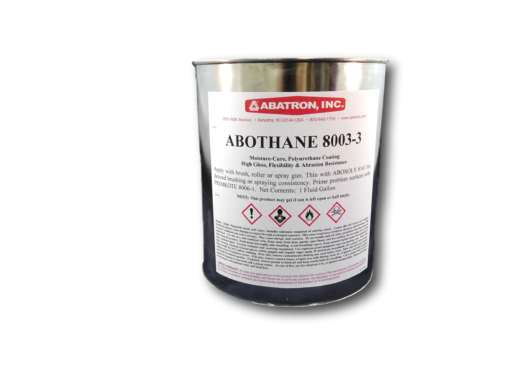 Abothane 8003-3™ | Abatron, Inc.
Clear Slip Resistant Urethane Coating for Floors. 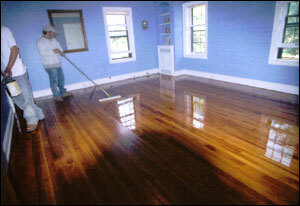 Protects wood, concrete, and seamless floors anywhere a clear, tough coating is required. High gloss. Abothane 8003-3 is designed for high flexibility and abrasion, chemical, and corrosion resistance with high wear and slip resistant properties. Practically colorless, it looks great on most floors. Requires no waxing. Perfect consistency for sealing porous surfaces. Apply with a brush or roller. Hardens in about 3 hours. Two or more coats recommended. Slip resistance: ASTM D 1894: 3.5. Q I resurfaced a customer's garage 2 years ago with Abatron's garage coating kit. I added chips to the polyurethane finish, but customer now wants a better non-slip surface. My question is will Abothane 8003 be appropriate to improve the walkability? Abothane 8003-3 is a clear slip resistant coating. Please call technical support to discuss options. Nothing I’ve ever used on hardwood floors even comes close to the performance of this product for ease of use, adhesion, and durability. I’ve been in the home renovation and construction industry fo 40 years and wish I had found this sooner.